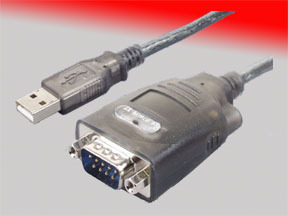 This cable is designed for easy plug-and-play connection of a device with a serial port to a device with a USB port. Supports data transfer rate of more than 115 Kbps. It draws its power from the USB connection, so no additional power adapter is needed.